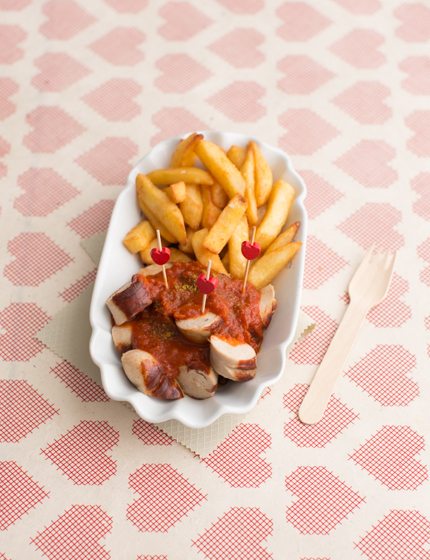 Ahhh Currywurst – what a German treat! It’s a true Berlin staple, and the style in which people order their sausage – skin on or off – actually indicates where in Berlin they’re from! East is with and West is without Darm (skin). 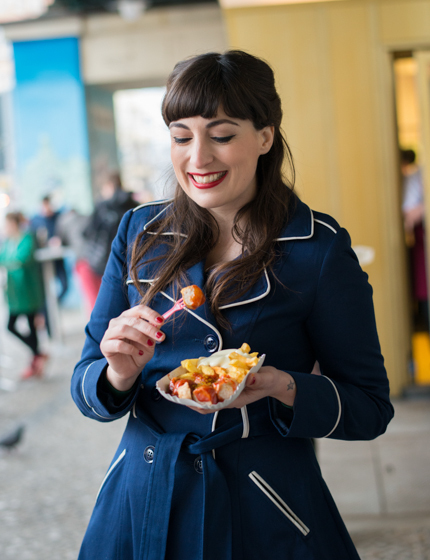 The Currywurst is indeed such an iconic street snack in Germany, that there’s even a museum dedicated to its history in Berlin. I’ve made my Currywurst with a Luxembourg sausage, and I have to say, the taste of Lëtzebuerger Grillwurscht is pretty close to that of the traditional German wurst used for this classic street food. 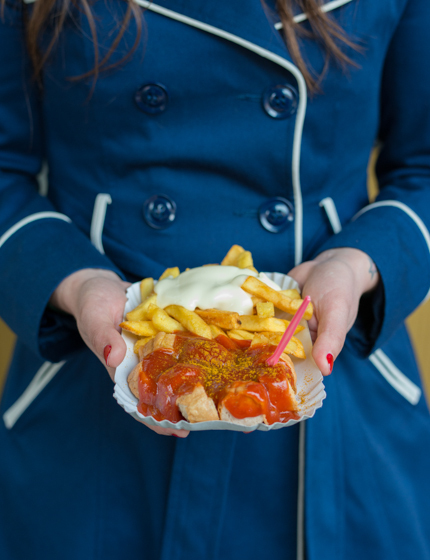 If you want a really great Currywurst when you’re in Berlin, head to Konnopke’s Imbiss! For the curry sauce: peel and finely chop the onion. Heat one tablespoon of sunflower oil in a saucepan and fry the onion for 5 minutes until soft. Add the tomato passata, the honey, curry powder, paprika powder, Worcester sauce, powdered vegetable stock, balsamic vinegar and Tabasco. Bring to the boil. 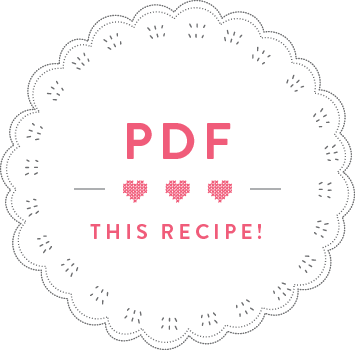 Take off the heat and puree with a stick blender until you get a smooth sauce. Keep warm. Prepare the sausages: make a few slits into each sausage. Heat the sunflower oil in a large frying pan and fry the sausages on a medium heat for 8-10 minutes, turning them from time to time, until they’re nicely browned. You could also grill them on a barbecue. Cut the sausages into bite-sized pieces, pour some sauce over each portion and dust with a sprinkle of curry powder. Serve with chips.